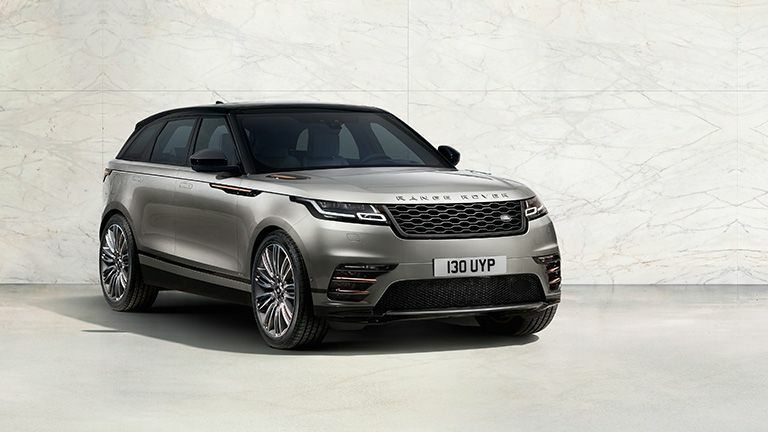 Land Rover has taken the wraps off a new member to the Range Rover family, the Velar. The fourth Range Rover model in existence will pack the latest tech and advanced stylings to offer the best of the SUV in one mid-sized package. The Range Rover Velar will sit between the last new addition, the Evoque, but below the Sport in terms of size. So what’s it bringing to the roads that makes it stand out? The car itself is all about design perfection, even giving the popular Evoque a run for its money. But more than just looks it also comes with smarts like the first Touch Pro Duo infotainment system. This packs in two high-definition 10-inch touchscreen displays for some seriously accessible controls - there’s even a tilt for the perfect view. The option of 4G connectivity with a SIM mean the car can have its own WI-Fi hotspot too. There’s also autonomous driving smarts with options like smart emergency braking even for pedestrians, queue assist, adaptive cruise control, reverse traffic detection and the car will even monitor the driver’s condition throughout the journey too. Outside the car that tech focus is clear from the slim Matrix Laser-LED headlights and flush door handles - looking like something from a drawing board of the future. Back to the inners and the car offers a hefty 632-litres of luggage storage thanks to the 2,874mm wheelbase. Despite the size offering you still get comfort thanks to air suspension as standard on six-cylinder models. That should mean variations of car setup to suit your driving style, be it comfort, off-road or sporty - which should be just that thanks to the light aluminium-intensive body structure. On the subject of off-road, the car features smart driving assistance here too. Terrain Response 2, All Terrain Progress Control, Low Traction Launch, Hill Descent Control and Gradient Release Control all add up to a confidence driving off-road as strong as when on the tarmac. The Range Rover Velar will come in 2.0-litre and 3.0-litre diesel and petrol options starting at £44,830 for the 2.0-litre D180 edition. The Range Rover Velar will go on sale this summer.